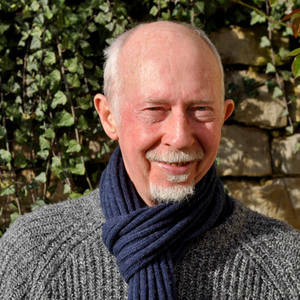 Chris Bell was born and brought up in the North of England. During his time studying at Manchester Collage of Art and Design he found that what he enjoyed most was extramural time in the sculpture studio. After a long and varied working career he moved to rural France in 2010, and it was only then that he found the time and space to continue his love of sculpture in the form of stone carving. Stone Chris is largely self-taught and his early work was figurative, but he gradually refined and simplified his forms with emphasis on the female figure. His approach to the piece is intuitive, often depending on the properties of the stone he is carving, though he does sometimes sketch or make a clay maquette beforehand. His passion for travel has led him to work in various countries, using local stone. He gains inspiration from the various communities and cultures with whom he comes into contact. His home is in Voisey, France.